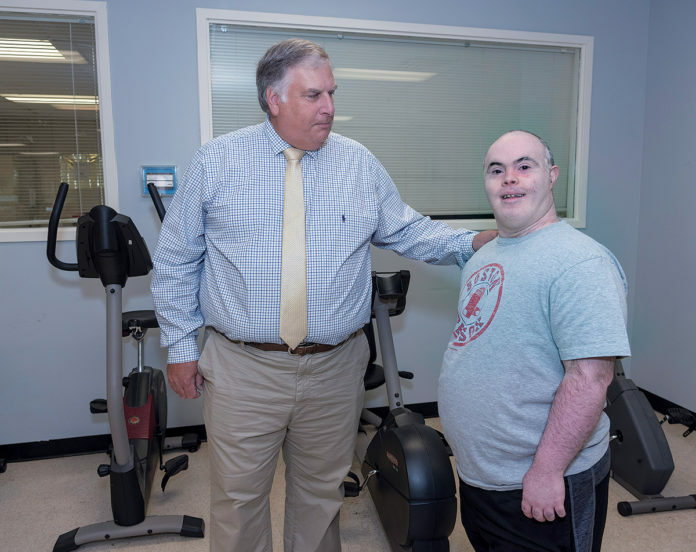 CRANSTON – AccessPoint RI was awarded a $48,000 grant from the Rhode Island Foundation to launch a new initiative to help individuals with disabilities improve the self-management of their chronic conditions by expanding access to physical therapy, AccessPoint RI announced last week. “Supporting innovative approaches and partnerships like this often lead to better outcomes and healthier lives, which are our priorities,” said Larry Warner, the Rhode Island Foundation’s grantmaker in the health sector. AccessPoint RI will collaborate with New England Institute of Technology on the initiative, called the Physical Therapy Community Service program. The grant will fund physical therapy for individuals with intellectual and developmental disabilities affiliated with AccessPoint RI that do not receive treatment due to financial or health insurance limitations. As part of a clinical internship, NEIT students in the Physical Therapist Assistant program will provide treatment under the direction of a licensed physical therapist.